Today’s generation of children is experiencing more childhood trauma than their parents’ generation. They may be in homes with abuse, neglect, drug and alcohol use, mental illness, and domestic violence. They may have had their family life rocked by divorce, or a family member die, deported or sent to prison. These stressful and traumatic experiences within the family in the first 18 years of life are called Adverse Childhood Experiences or ACEs. The effects of ACEs can start early and last a lifetime, showing up as development, academic, health and behavior issues. And they can lead to ACEs for a new generation. Parents who had high numbers of ACEs are 14 times more likely to be coping with life in ways that make ACEs for their children. But trauma does not have to determine destiny. We now understand how adversity becomes embedded into biology, behavior and risk, and how simple supports and opportunities can deliver stunning improvement in peoples’ lives. In 2005, one of the seemingly most successful nonprofits in the country requested the sector equivalent of a bailout. Communities in Schools, an organization that today serves 1.5 million disadvantaged kids, 91% of whom graduate high school or obtain a GED, approached a fleet of major foundations to show its books and ask for several million in emergency capacity building funds. Interested in reading more on the latest in nonprofit news? Visit this selection on Giving Compass. Turns out, the group had spent years accepting the most common kind of payment from foundations, supposedly results-driven grants, which poured money into expanding programs without covering basic institutional needs like staff training, facilities costs, tech upgrades, and the ability to create a cash reserve for unexpected costs. Eventually, operating costs were stretched so thin that the organization was struggling to keep up its standards and measure success. It was operating in the red, borrowing from accounts that should have gone to one function to cover another. A few major funders including the Gates Foundation stepped in to assist, offering several million so that CIS could shore up its financials and shift toward only accepting more logically structured grants. But as Michael Etzel, a partner at Bridgespan, a nonprofit consultancy, and Hilary Pennington, a vice president at the Ford Foundation, have discovered, that’s far from a one-off tale of woe. It’s often the norm. The research duo, who highlight CIS’s struggles in a recent Stanford Social Innovation Review report, have found that poorly structured grants are forcing many groups to funnel the majority of their cash into programming and expansion. At the same time, the only way to thrive in the long run seems to be the opposite: Much like companies offering standard services or products, nonprofits need to build stability, investing in talent, training, R&D, and non-dilapidated offices, while putting aside some cash so they don’t live and die by the next grant cycle. Read the source article at fastcompany.com Like this article? Read this piece on whether nonprofits should be taxed. 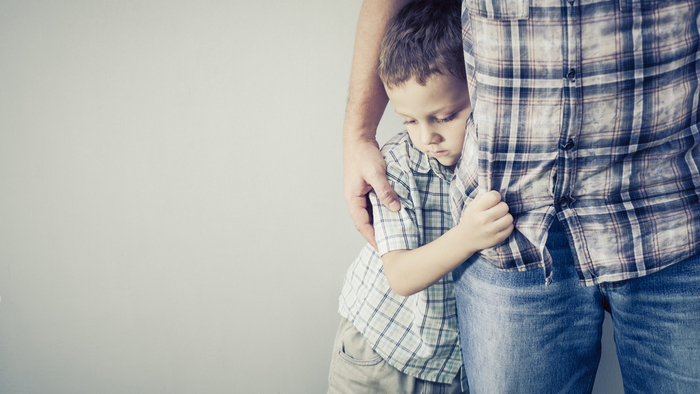 Parents are the key to reducing childhood trauma. And home visitors are in one of the best positions to help parents understand events of the past and how to protect their children now and in the future. Home visitors are trained professionals who support and strengthen families in those first years of life. They talk with parents about prenatal care, infant care, child development and parenting skills and are highly skilled in building trusting relationships and creating safe spaces for meaningful conversations. Several years ago, home visitors knowledgeable about ACEs research wanted to bring this information to families but worried about causing harm. In 2015, the NEAR@Home toolkit was launched to address these concerns and provide strategies for engaging parents in discussing ACEs in a safe, respectful and effective way for both the home visitor and family. Since then, the free toolkit has been downloaded more than 3,500 times by people from all 50 states, Puerto Rico, District of Columbia, and 11 countries. NEAR, the acronym for Neuroscience, Epigenetics, Adverse Childhood Experiences and Resilience, represents three decades of scientific research into the power of childhood adversity on biology, behavior and risk – and how it can be passed on to future generations. Created, reviewed and tested by home visitors, mental health providers and other experts in Region X (Alaska, Idaho, Oregon and Washington), the NEAR@Home toolkit is a training manual with guided processes to help home visitors learn and practice language and strategies to safely and effectively talk with families about the wide-ranging and long-term effects of childhood trauma — and strategies to buffer these experiences and build resilience for both the parent and child. Because of the success of the toolkit, Region X was awarded a 2017 federal Innovation Grant through the Maternal, Infant and Early Childhood Home Visiting program to pilot an expansion across its four states. Get informed about ACEs. Read the CDC-Kaiser Permanente Adverse Childhood Experiences (ACE) Study, one of the largest investigations of childhood abuse and neglect and later-life health and well-being. Also check out ACEs Connection, an online network supporting communities wanting to address and prevent ACEs. This site also has an online ACEs questionnaire for those wanting to discover their own ACE score. Support the expansion of the NEAR@Home toolkit. The Region X pilot to expand and deepen use of the toolkit among home visitors is almost complete. Capacity is now needed to train and support home visitors after they’ve downloaded the toolkit. Home visiting is one of the earliest and most effective actions we can collectively take to lessen and end the intergenerational cycle of ACEs. A good way to complement your interest in Early Childhood is to connect with others. Check out these events, galas, conferences or volunteering opportunities related to Early Childhood. Early Childhood is an important topic. Other members found these Giving Funds, Charitable Organizations and Projects aggregated by Giving Compass to be relevant to individuals with a passion for Early Childhood.